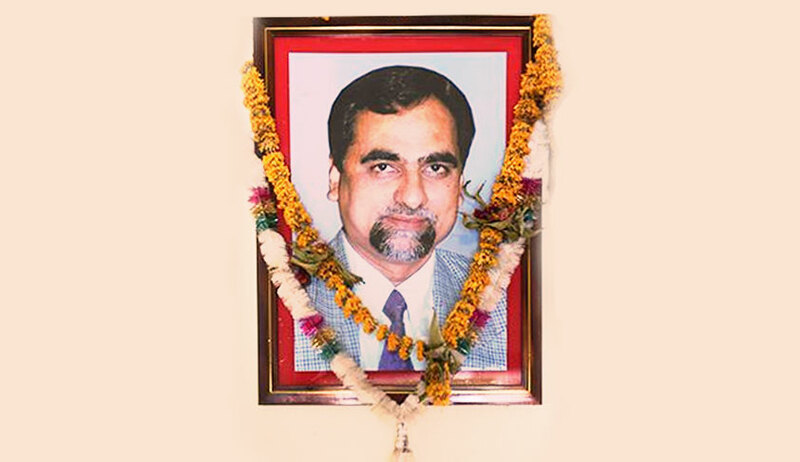 The Supreme Court, on Thursday, dismissed the Petitions seeking an independent probe into CBI Special Judge Brijgopal Harkishan Loya's mysterious death. The Bench comprising Chief Justice of India Dipak Misra, Justice D.Y. Chandrachud and Justice A.M. Khanwilkar opined that the Petitions lacked merit and that the conduct of the petitioners and the intervenors is "lacking in bona fides and reveals a misuse of the judicial process". The Court took into account the report of the discreet enquiry initiated by Mr. Sanjay Barve, Director General and Commissioner in the State Intelligence Department. This report had concluded that Judge Loya suffered a heart attack in the presence of his colleagues belonging to the judicial fraternity. The reports had specifically relied on the sequence of events leading to the death, as narrated by the four judicial officers namely, Judge Shrikant Kulkarni (Member Secretary, Maharashtra State Legal Service Authority), Judge Shriram Modak (Principal District Judge, Pune), Judge Vijay Kumar Barde (District Judge, City Civil Court, Mumbai) and Judge R.R. Rathi (District Judge, Baramati). Noting that there was no reason to disbelieve their submissions, the Court concluded, "There is no reason for the court to doubt the clear and consistent statements of the four judicial officers. The documentary material on the record indicates that the death of Judge Loya was due to natural causes. There is no ground for the court to hold that there was a reasonable suspicion about the cause or circumstances of death which would merit a further inquiry." The four Judicial Officers acted with a "sense of duty"
The Court noted that a "frontal assault" had been launched against the statements of the four judicial officers by the Petitioners, contending that the procedure of obtaining permission from the Chief Justice of Bombay High Court was completed within one day and the statements were submitted by the four judges on the next day. ...There was no reason for the four judicial officers to procrastinate or delay the submission of their statements. There is no basis whatsoever to make any imputation against the four officers of the state judiciary." "The four judicial officers acted responsibly. There was no reason for them either to hasten or to cause a delay in submitting their versions of what they knew. Each of the four judges has acted with a sense of duty. This is how they would be expected to conduct themselves, in answering to a call of duty." The Court rapped Senior Advocate Dushyant Dave for alleging that the statements made by the judicial officers were not independent as their views were similar to the viewpoint taken by two High Court Judges in an Indian Express article. Mr. Dave had, in fact, demanded that disciplinary action be taken against the two High Court Judges- Justice B.R. Gavai and Justice S.B. Shukre- asserting that Judges of the District Judiciary cannot be expected to take a plea at variance with what had been stated by two High Court Judges. The Bench, however, pointed out that the article was published after the four Judges had submitted their statements. It then opined that Mr. Dave's submissions were "preposterous" and made some scathing remarks against him, observing, "We are mentioning this aspect because the line of submissions in this case indicates an unfortunate attempt to use every possible ploy to cast aspersions on members of the district and higher judiciary. That senior counsel chose with all seriousness to make those submissions without a sense of responsibility, and without verifying the basic facts reveals a disturbing state of affairs. We must express our disapproval in no uncertain terms." "The issue in the present case is whether Judge Loya died a natural or unnatural death. To attribute motives to his colleagues who were with him and took immediate steps to shift him to a hospital nearby is absurd, if not motivated. In hindsight, it is easy to criticize actions which are taken by human beings when faced with an emergency. It is easy for an observer sitting in an arm-chair at a distant point in time to assert that wisdom lay in an alternate course of action. That can never be the test for judging human behavior. The conduct of the colleagues of Judge Loya in attending to him is not in question. They did their best under the circumstances, acting entirely in good faith." The Court went on to label the petitions as well as the intervention applications as attempts to malign the judiciary, asserting, "Though as we have noted earlier, the proceedings have been purportedly instituted to protect the independence of the judiciary, this is one more instance where behavior in court belies the ostensible position of the petitioners, intervenors and their counsel. It is as if the judicial officers are in the dock. We have no hesitation in rejecting that attempt. Mr. Rohtagi submitted before the court that this line of argument of the petitioners and intervenors would postulate that the judicial officers are co-conspirators. In fact, it was so argued by counsel assisting Mr. Giri. This is neither the case in the pleadings of the petitioners nor is there any material on the record which can even remotely suggest such an inference. We must emphatically reject such attempts on the part of the petitioners and the intervenors to malign judicial officers of the district judiciary." The Court noted that the Petitioners had alleged that Judge Loya had been offered a bribe of Rs. 100 crore by the then Chief Justice of Bombay High Court, Justice Mohit Shah, to give a favorable judgment in the Sohrabuddin fake encounter case in which BJP chief Amit Shah was the prime accused. The Bench, however, rejected these contentions, merely opining that the allegations against Justice Shah are "hearsay". It observed, "The video recording of an interview given to Caravan by the father and sister of Judge Loya was also handed over to the court on a pen drive. The members of the family of Judge Loya have disassociated themselves from the statements attributed to them in the Caravan publication. The video recording, which we have seen, contains snippets of an interview. Evidently, only a part of the interview has been produced. The allegations against the Chief Justice of the Bombay High Court are hearsay." The Court took note of the expert opinion from Dr. Upendra Kaul, a former Professor of Cardiology at AIIMS, as submitted by Advocate Prashant Bhushan. Mr. Bhushan had sought Dr. Kaul's professional opinion on certain queries relating to the medical evidence available on record. Without going into the propriety of Dr. Kaul's opinion, the Court observed that Mr. Bhushan had acted with a lack of objectivity in his submissions, and opined that his assertions have bordered on an attempt to mislead the Court. It explained, "In their practice before this court, Counsel are expected to assist the court with a sense of objectivity in aid of justice. What has happened here is that Mr. Prashant Bhushan has adopted a dual mantle, assuming the character of a counsel for the intervenor as well as an individual personally interested on behalf of the intervening organization of which he is a member. He has gone to the length of personally collecting evidence to somehow bolster the case. The manner in which the opinion of Dr Kaul was obtained on the basis of a laconic questionnaire leaves much to be desired and is a singular reflection on the lack of objectivity which is to be expected from counsel appearing before this Court. This has bordered on an attempt to misrepresent the facts and mislead the court." Noting that Judge Loya's ECG was mentioned in the progress notes of the doctor at Meditrina hospital, the Court rejected the submission that no ECG was done at Dande Hospital. It noted that the allegation that Judge Loya was not provided with a car to travel from Ravi Bhavan to Dande hospital and onwards to Meditrina is a "red herring". The submission that if the four Judges had accompanied Judge Loya to the hospital, they would not have indicated his name to be Brijmohan instead of Brijgopal was found by the Court to be "another attempt to cast doubt on the version of the four judicial officers without a substantive basis or foundation". It opined, "The normal course of human events would indicate that his four colleagues would be more concerned about getting Judge Loya attended than filling up an admission form. A mistake did occur in recording his name as Brijmohan instead of Brijgopal. In our view, this cannot be a ground to discredit the detailed factual narration made by the four judicial officers who were with him." The Court took note of two more questions raised by the Petitioners: (i) Why was Judge Loya's not brought to Nagpur by a flight from Mumbai after his death? and (ii) why, as alleged, in the Caravan article, the body reached Gategon for the funeral rites unaccompanied? It opined that submissions on these questions have no bearing on the question of Judge Loya dying a natural death, since they relate to events which took place after his death. The Court denied the requests for cross-examination of several doctors and judicial officers, observing, "By casting unfounded aspersions on the judicial officers who had accompanied Judge Loya, the petitioners have revealed the real motive of these proceedings which is to bring the judiciary into disrepute on the basis of scurrilous allegations. We find no basis or justification to allow the request for cross-examination." Opining that this was a "serious attempt to scandalize the court and obstruct the course of justice", the Court refused to accept reliance placed on an unrelated matter wherein a criminal case involving the present Chief Minister was quashed by a Division Bench including Justice B.R. Gavai, who was one of the Judges whose opinion had been published by the Indian Express in its report referred to earlier. The Court observed, "This is another instance in the course of the hearing of the present case where a matter extraneous to the subject of the inquiry before the court has been sought to be relied upon to somehow sensationalize the case. What is worse is the manner in which wholly unfounded aspersions have been cast on the judges of the Bombay High Court following a decision which has been taken in the judicial capacity." At the end of it, the Court largely made it clear that it must lean in favour of the version of the four judicial officers unless strong and indisputable circumstances are put forth to cast doubts on their credibility. This, it said, "would be in the larger public interest, to uphold the independence and integrity of the institution." The Court concluded with comments on the misutilisation of public interest litigations by "persons with a personal agenda". It then opined that the case in hand was an example of such misutilisation. "Judicial review is a potent weapon to preserve the rule of law. However, here we have been confronted with a spate of scurrilous allegations. Absent any title of proof that they are conspirators in a murder the court must stand by the statements of the judicial officers. The judges of the district judiciary are vulnerable to wanton attacks on their independence. This court would be failing in its duty if it were not to stand by them." Mr. Bhushan had also argued that two of the Judges constituting the Bench- Judge A.M. Khanwilkar and Justice D.Y. Chandrachud- have been Judges of the Bombay High Court, and so they may have known the judicial officers who have submitted the statements, or the two High Court Judges whose opinions had featured in the Indian Express report. The Court, however, opined that there was no necessity for the two Judges to recuse themselves from hearing the Petitions, opining that when a Judge faced with such "wanton attacks to withdraw from a case", it would amount to "abdication of duty". It, thereafter, elaborated on the reasons for not initiating contempt proceedings against the Petitioners and the intervenors, despite being anguished at the manner in which the proceedings were conducted. The Court observed, "...on a dispassionate view of the matter, we have chosen not to initiate proceedings by way of criminal contempt if only not to give an impression that the litigants and the lawyers appearing for them have been subjected to an unequal battle with the authority of law. We rest in the hope that the Bar of the nation is resilient to withstand such attempts on the judiciary. The judiciary must continue to perform its duty even if it is not to be palatable to some. The strength of the judicial process lies not in the fear of a coercive law of contempt. The credibility of the judicial process is based on its moral authority. It is with that firm belief that we have not invoked the jurisdiction in contempt."